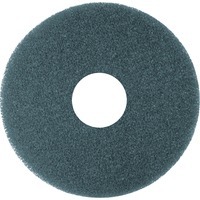 Niagara Blue Cleaning Pad 5300N is ideal for heavy duty scrubbing before recoating. It removes dirt, spills and scuffs and leaves a clean surface ready for recoating. Use this 12 pad on a rotary floor cleaner at conventional speeds from 175 to 600 RPM.